The easiest thing to make this Springtime! I love a good tart recipe. 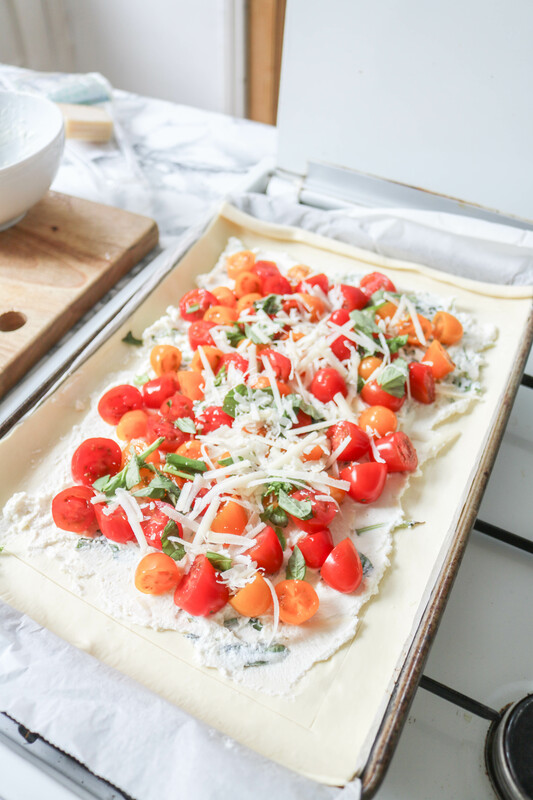 There’s nothing easier during Sring than making a puff pastry tart, especially when you use ready-roll pastry. Because honestly, no one has time mid-week to make pastry from scratch. I’ve played with different recipes in the past, but this one is now a solid favourite in our household. This is actually a Waitrose Beautifully Simple recipe, however, I have tweaked it slightly. 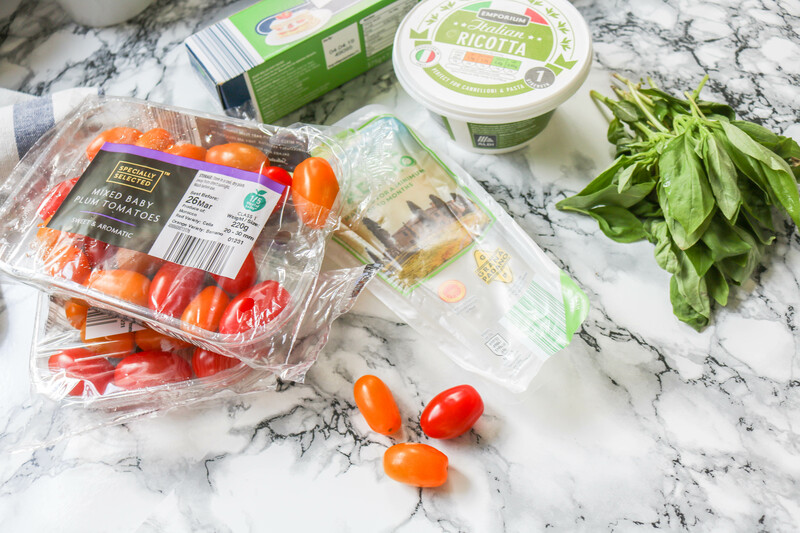 Personally, the basil tastes so much better with this ricotta cheese and mixed tomatoes. 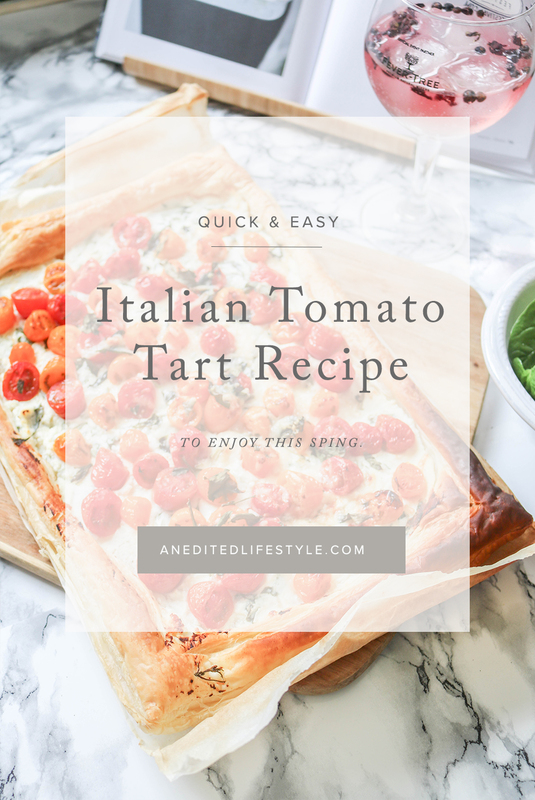 And really, is an Italian tomato tart recipe really Italian without a bit of basil added to it? 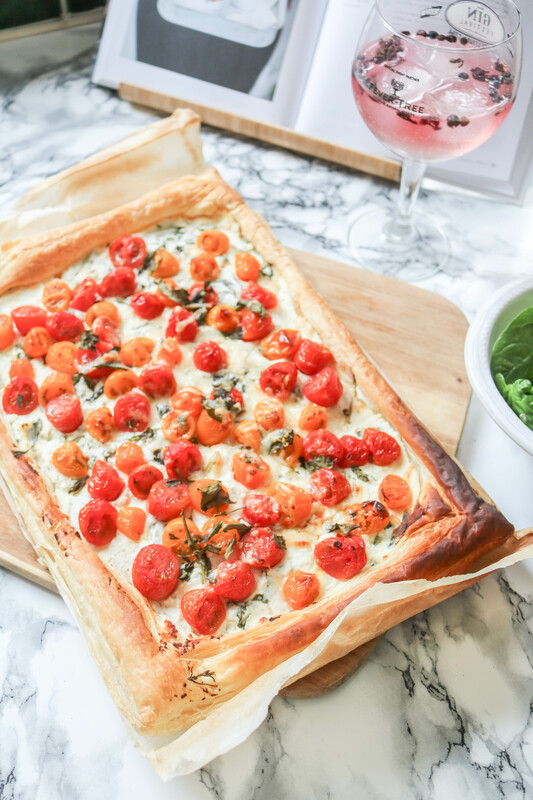 You can’t go wrong with this tart, it’s perfect for gatherings or a really easy mid-week meal. It’s also ideal for a lazy Sunday, I tend to make this with a salad and leave it on the side for my husband and me to pick at as and when we feel hungry. This serves up to six people, so if you’re a 1- 4 person family, there will be leftovers for lunch boxes throughout the next week. Preheat the oven to 220°C. 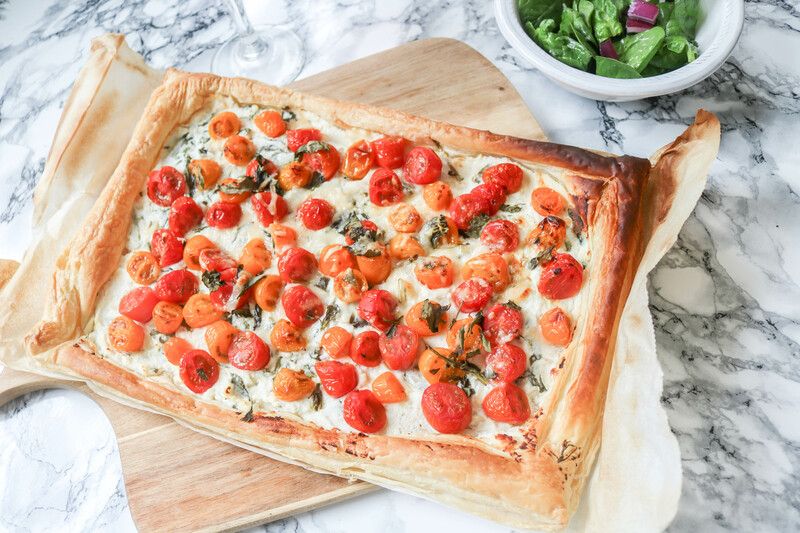 Lay the pastry sheet on a piece of baking paper. Score a 1cm border edge. 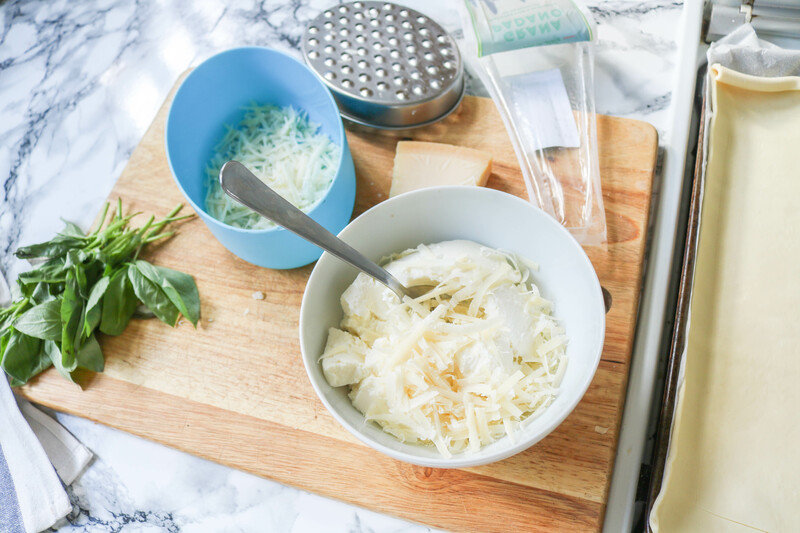 Mix the ricotta with half the grated parmesan. Chop the basil and add it to the mixture, leaving some leaves to one side. Season with a little salt and pepper. Spread the mixture over the pastry sheet within the border. 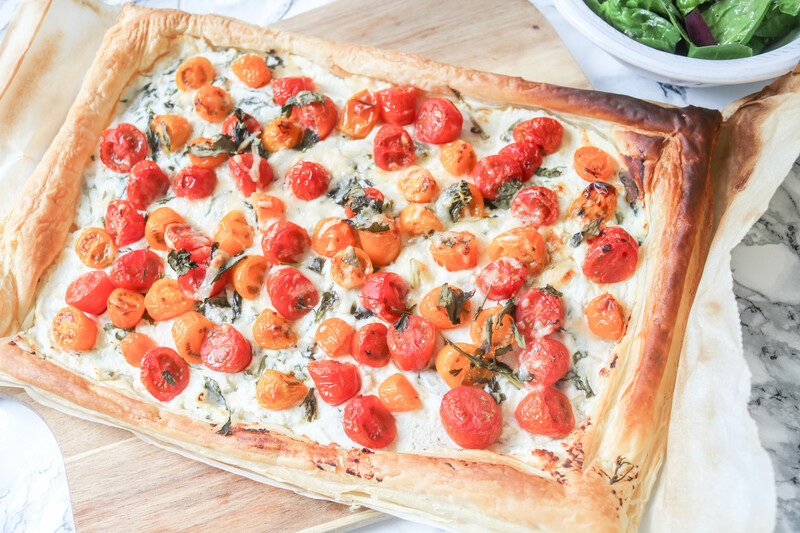 Chop your tomatoes in half and scatter over the top of the tart. Add a drizzle of olive oil. Sprinkle the remaining parmesan and basil. Bake in the oven for 20- 25 until the pastry is puffed and golden. Serve warm with a side salad and freshly cooked new potatoes.